Karim Spinning Mills Limited, is an export oriented cotton carded and combed yarn manufacturing company, was incorporated as a private limited company on March 4, 1999 and subsequently converted into public limited company under the companies act, 1994 (Act XVIII) cide certificate no-C-37359(1659)1999 with the Registrar of Joint Stock Companies and Firm and started its commercial operation 2002. This brand new unit is situated on the north western corner of Dhaka in Gazipur within the proximity of its fabric and apparel manufacturing units. 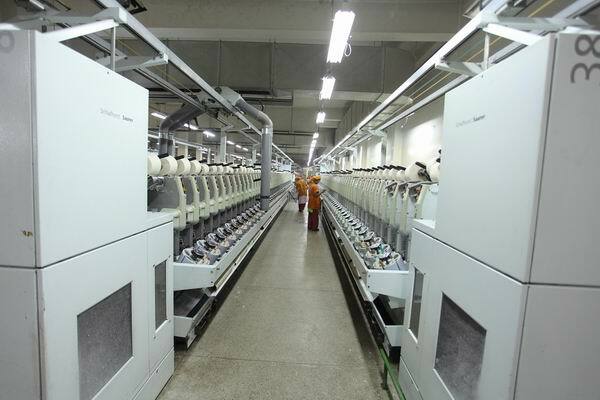 This unit has been specifically designed to produce yarn to cater to the requirements of its fabric manufacturing unit. Presently the project has in total 32,000 spindles with daily production capacity of 16 tons of Combed and Carded Cotton Yarn. 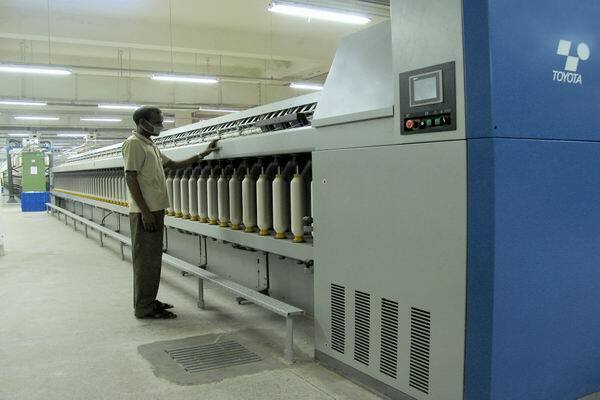 Karim Spinning Mills is a deemed exporter and majority of its goods are supplied to Knit industries for export. In apparel manufacturing, the need for perfection begins right from the birth of the raw materials. The quality of yarn permeates through every single process till packaging. It is this need for perfection which has driven the growth of Karim Spinning Mills Ltd. We believe that those who can furnish clients with best quality at competitive price, exceptional services and prompt delivery can only survive in the market. Karim Spinning Mills Limited offers a diverse product line to fulfill demands of customers and has the finest yarn spinning facility in the country. We have optimized our spinning processes by applying state-of-the-art technology & machineries to every phase of our production processes. Karim Spinning Mills Ltd takes immense pride in identifying its role as the pioneer of quality yarn manufacturers of Bangladesh. We use cutting edge technology to put our yarn through a series of Quality Control Checks, to ensure strict Quality Standards. This desire for Quality is also shared by our team of highly qualified and competent professionals, who under the capable and dynamic leadership of the Board of Directors have made our remarkable growth possible. It is with this shared vision that we are marching towards our goal of attaining acknowledged leadership in providing quality products at competitive price. We strive towards becoming a good corporate citizen and a significant contributor to the national economy by playing a major role in creating employment and poverty alleviation. Our vision is to build a prominent global and local presence, based on improved integration to achieve better synergy and a devoted focus on building and maintaining relationships with its customers, suppliers, principal and employees. Karim Spinning Mills was established in 2002, this brand new unit is situated on the north western corner of Dhaka in Gazipur within the proximity of its fabric and apparel manufacturing units. 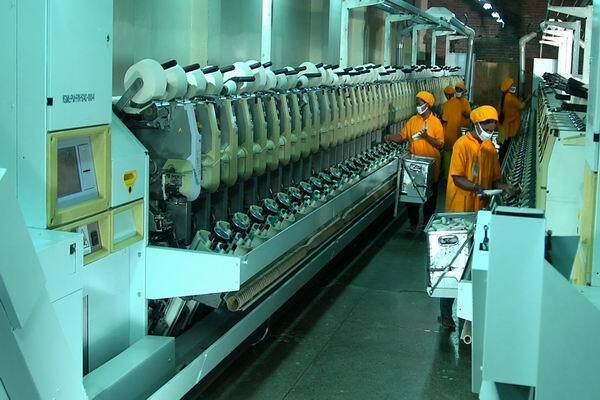 This unit has been specifically designed to produce yarn to cater to the requirements of its fabric manufacturing unit. Equipment and Capacity: This unit has 32,000 spindles with a total production of 16 tons of yarn per day. 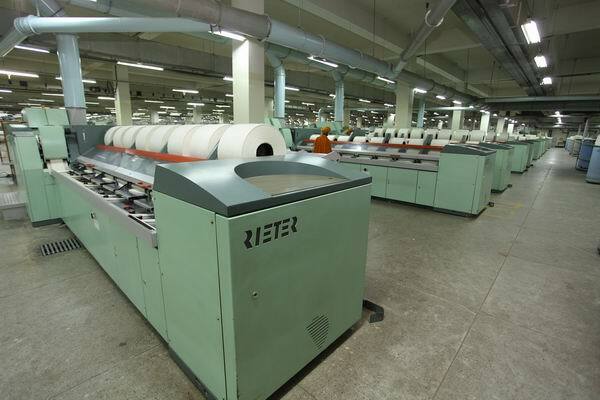 It is equipped with machines from Rieter Spinning System (Swiss Origin) and Schlafhorst - Murata winders. The process is controlled by USTER 4 technology. Products: Cotton Yarn (100% combed, carded cotton, compact and slub yarn). Counts: Ne 20s to Ne 40s. By maintaining high recruitment standards and providing need based internal/external training to its staff, Company faces new challenges. Karim Spinning is proud of the extra ordinary team work of its officials and workers. Their hard work helped the Company to successfully respond to many challenges. As a result, giant & prominent buyers are on us with full confidence & reliability. We are a 100% Accord Compliant & certificated with world eminent certification such as WRAP, BSCI, SEDEX, OEKO-TEX (Class-I). Moreover, we are an environmental friendly, where carbon emission rate is very minimal. Furthermore we installed LED light all across the factory to save energy & protect the earth from heated. At Karim Spinning Mills, a strong emphasis is placed on employee safety and dignity, workplace environment, amenities and facilities are held to the highest standard. Ensuring the health, safety and welfare of all workers is a priority. Karim Spinning Mills also aims to create a vibrant and productive work environment for all its employees and is one of the first companies to implement different innovative training and benefit programs for worker motivation. Our amenities and facilities include round-the-clock medical centre, manned by physicians and trained nurses equipped to handle primary healthcare needs and emergencies. Prayer rooms, a recreation centre and a day-care centre for children that can be availed by all employees. The company provides hygienic dining facilities and access to safe drinking water and sanitary toilets and washing area. The workplace environment, in addition to being safe and spacious, is well lit and well ventilated. Karim Spinning Mills strongly supports and strictly adheres to policies such No Forced & Child Labor, No Discrimination, Occupational Health and Safety (OHS), Disciplinary Practices/ Harassment, Freedom of association & right to collective bargaining, Welfare facilities, Compensation & Benefits, Working hours, Grievance procedures, Environmental protection, Custom & Security Compliance. SEDEX Membership: The Supplier Ethical Data Exchange (SADEX) is an Organization dedicated to driving improvements in responsible and ethical business practices in global supply chains. BSCI: The Business Social Compliance Initiative (BSCI) is a leading business-driven initiative for companies committed to improving working conditions in the global supply chain.